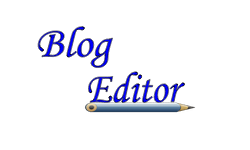 In this post, I have shared how to make instant raw mango pickle recipe in 3 different ways from 3 different states. 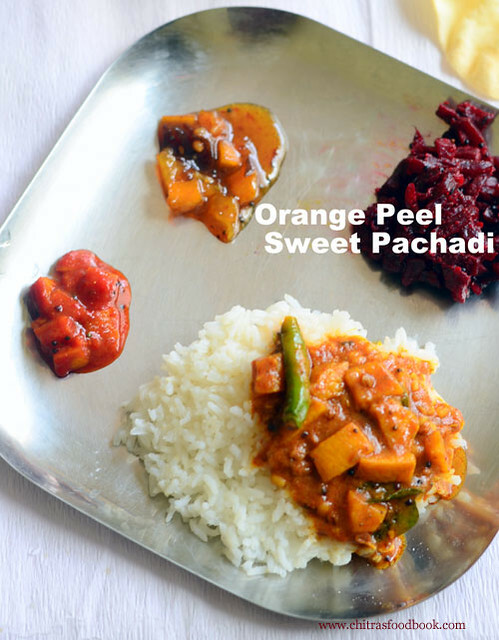 Yes, Its Andhra style mamidikaya menthi pachadi, Kerala style Nadan mango achar and Tamil nadu style mangai oorugai. 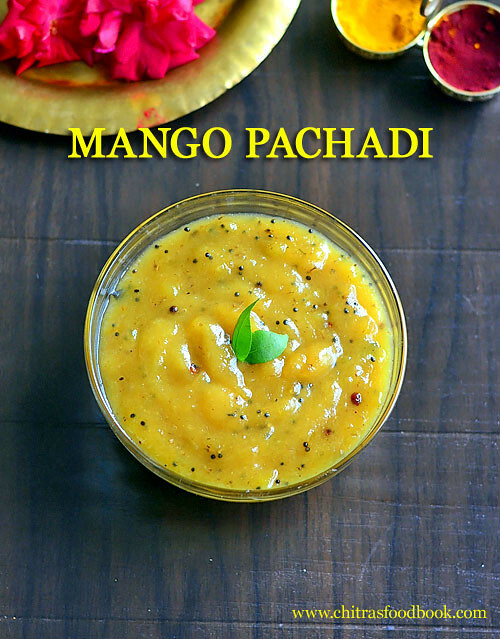 Instant raw Mango pickle is a must to do recipe during mango season.It is our family favorite. I have already posted 2 recipes for instant mango pickle which is my mom’s version. 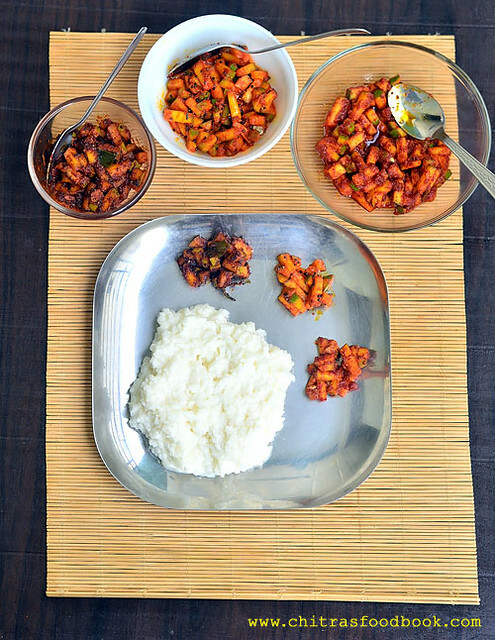 This time just for a change, I wanted to try 3 different styles of making South Indian mango pickle from various cuisines. I followed my mil’s method for Tamil nadu style, referred Sailu’s food for Andhra style & Mia kitchen for Kerala style recipe. All the 3 came out very well & finger licking good. Yesterday I relished a plateful of curd rice with these 3 pickles. Preparation time, cooking time & Ingredients of this pickle are almost the same. But the method of making has slight variations.Each recipe has its own touch and style. Tamil nadu style raw mango pickle needs less ingredients when compared with Andhra & Kerala. It can be consumed immediately too. 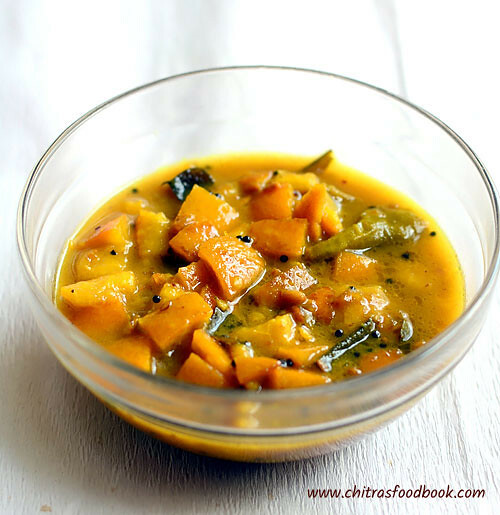 Of course I tasted Andhra & Kerala mango pickles immediately after making. Even though they tasted good, I felt they need a setting time of at least one day to know its best taste & flavor. If you have one big raw mango in hand, you can prepare all these 3 pickle varieties in the next 10 minutes.Its that easy ! Soon I must try Karnataka & North Indian( Punjabi) style pickles too.Ok, lets see how to make Andhra, Kerala & Tamilnadu style Instant mango pickle/ raw mango pickle with step by step photos and a video ! 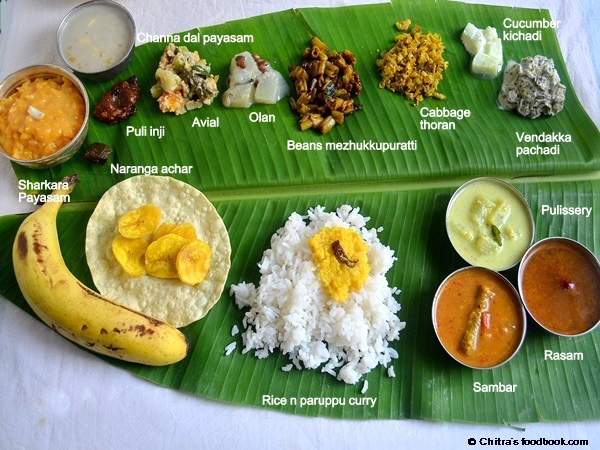 This is my second Onam sadhya lunch menu with onam sadya serving order. Basically I love to try other state recipes a lot apart from my usual Tamilnadu recipes .When it comes to regional cuisine , my first choice is for kerala food. My dad’s mom(my aachi) is from Nagercoil..As it is in kerala border , my aachi’s cooking was very similar to keralites .She makes many coconut based recipes like sodhi , Avial, theeyal etc..So right from my childhood, I grown up eating those foods. 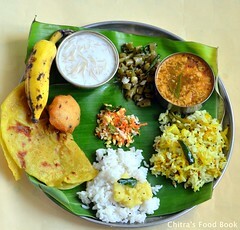 This may be the reason I have a love towards kerala food. 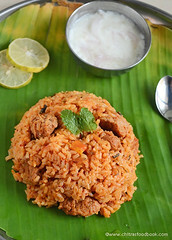 But I have never thought I could make authentic kerala recipes in my kitchen. I must thank my Ex-neighbor Mrs. Prema for sharing all her yummy recipes & inspired me to cook them. Last year i posted onam sadya recipes for the first time from vanitha magazine with the help of her.I should say that was one of the hit posts in my blog.This year I couldn’t try vanitha recipes as she had changed her house ..I really miss her and her recipes very badly :(She was a caring and good friend of me..This time too,before cooking these recipes, i called her over phone to confirm the methods of making..
Pressure cook dal adding turmeric powder and a drop of oil.Mash it well and set aside.Take extract from the tamarind and set aside. In a pan , heat oil and roast all the ingredients given under “ to roast n grind”. Saute well without burning and switch off the flame.Make them to a paste and set aside. In a kadai , heat oil, temper mustard seeds, red chilli , curry leaves and saute the onions , tomatoes & curry leaves.Saute till tomato turns mushy.Add tamarind extract ,salt and curry leave.Allow it to boil well ,add all the vegetable and boil the tamarind extract till the veggies cook well. After the veggies are cooked , add the mashed dal and spice powder. 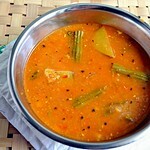 Mix well and boil for 5 minutes.sambar will thicken,add water if necessary . Line a bowl with banana leaf and pour the sambar. Close it with a lid.Serve with rice ! 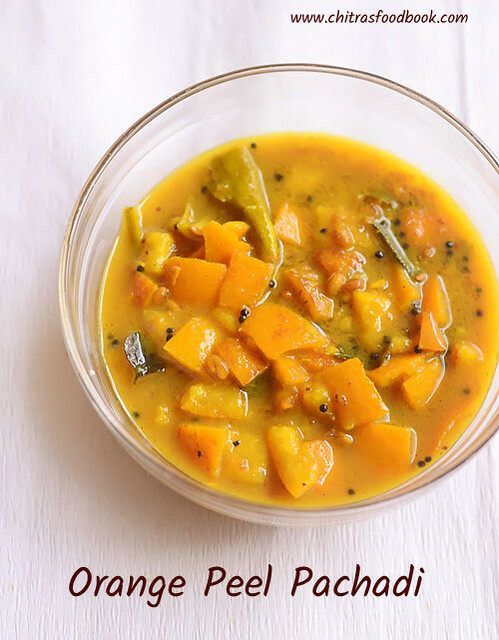 Any vegetables like yam ,carrot , pumpkin , drumstick , radish ,lady’s finger and ashgourd can be used in this sambar..
Fry the dry red chilli for a minute. Grind together fried red chilli, pepper corns, garlic, jeera and coriander seeds slightly coarse in texture OR U can make it to a coarse paste as per the original recipe. Heat oil , fry ground masala for 2-3 mins. Add chopped tomatoes and mix well. Cook till tomatoes become soft. Add tamarind extract and salt. Mix well. Add 2 cups of water and coriander leaves. Let it boil, reduce the flame and simmer for 5-7 mins. Add a pinch of hing.Serve hot ! Grind together coconut, green chillies, garlic, 1/2 tsp cumin seeds, small onion and turmeric powder into a fine paste.Cook the ash gourd pieces separately. Beat the curd by adding this paste, salt and sugar. After beating , the mixture should be of medium thick consistency. Heat oil in a pan. Temper mustard seeds. 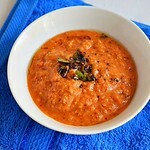 Add 1/2 tsp cumin seeds along with fenugreek seeds and curry leaves and mix it well. Pour the curd mixture and cooked ash gourd into the pan and keep it on a medium flame, stirring continuously, until it becomes warm. NEVER ALLOW THE CURD MIXTURE TO BOIL. 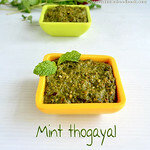 Remove it from fire and sprinkle roasted fenugreek powder over the Pulissery and mix it well. Chop the beans , add salt and pressure cook it in high flame for one whistle. ( This is for fast quicking & less oil consumption).Drain all the excess water.But make sure beans should be soft yet firm., It should not lose its shape. Coarsely grind the items given under “to grind” without adding water. In a pan , heat oil and temper mustard and curry leaves. Now add the beans and saute well in high flame for a minute to absorb all the moisture in them..
Now add the coarsely ground paste and saute them till the raw smell goes off. Do it in medium flame.Fry till the beans look dry and shiny..Remove n serve ! Grind coconut , green chillies and jeera to a coarse paste without adding water.Set aside.Chop the cabbage and onions ..Mix together the finely chopped cabbage, onions, and salt. Heat oil in a kadai. Add mustard seeds and allow it to splutter. Then add pinched red chilli and curry leaves to it. Now add the ground mixture , saute for few minutes .Remove n serve ! Pressure cook the beans with 1 cup of water in low flame for two , three whistles.Drain the excess water & keep aside the cooked beans. The beans should not be over cooked and it should retain its shape. Cook together ash gourd, green chilli, salt and 1.5 cups of water, till ash gourd becomes tender. Ash gourd also should not be overcooked and it should retain its shape. Add the cooked beans to the ash gourd and mix well. Add coconut milk and curry leaves. Cook on low flame for 5-7 mins. Remove from the fire and drizzle some coconut oil.The curry has a thick consistency. No need to soak the beans if u fry in oil. In the actual recipe , maria mentioned that it is not necessary to soak the beans even without frying.. In a kadai , add oil , temper mustard seeds and curry leaves.Then add the finely chopped lady’s finger & green chillies and saute in high flame continuously .Add salt , sugar and saute till it is cooked well. Remove & add curd to it. Mix well and serve ! Cut cucumber into small pieces and set aside. Grind coconut and green chillies to a smooth paste adding water.Mix this paste with cucumber.Temper mustard & other ingredients and add to the mixture. Lastly add the thick curd , mix well & serve immediately. In a mixie add 1/3 cup of water and take the first coconut milk.Set aside.Again add 3/4 cup of water and take the second milk.Keep aside. Pressure cook channa dal adding enough water for two,three whistles in low flame.Open and mash them well. I pulsed it in mixie. 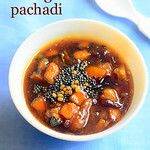 In a pan , melt jaggery , make syrup and strain the impurities.Add the mashed dal to the syrup . Add the second coconut milk and ghee & boil till it reduces to half..
Lastly add the first thick milk , cardamom powder and mix well. Boil in very low flame for 2 minutes and switch off the flame. Add the roasted nuts n serve ! In a mixie , grind coconut adding 1 cup of water and take the first milk.Again add 1/2 - 3/4 cup of water and take the second milk. Set aside. 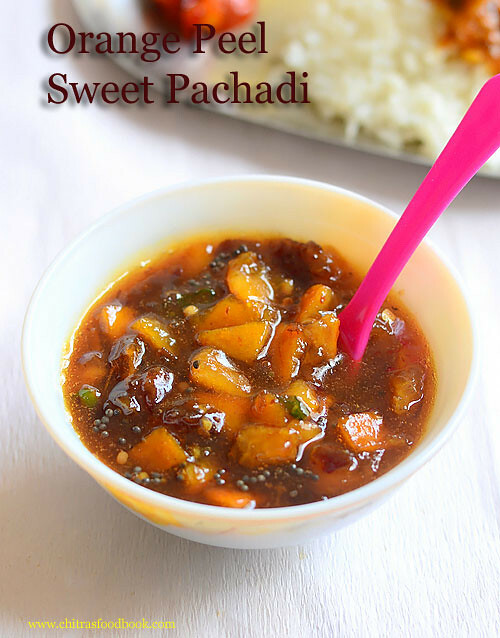 In a pan , melt the jaggery , make syrup , strain impurities if any.Make jel like syrup..
Wash n soak raw rice for 20 minutes.Pressure cook it adding 1/2 - 3/4 cup of water.Rice should be cooked but it should not be mushy. Add the syrup to the cooked rice and boil well.Add the second coconut milk an boil for 5-7 mins in low flame. Lastly before switching off the flame, add the first coconut milk.Mix well. Add the roasted nuts.Serve ! This payasam tends to thicken soon. It will become spoonable.Add more milk to get a thin consistency.U can also add 2 tbsp of roasted coconut pieces if u wish. I wish all my friends a very happy ugadi. 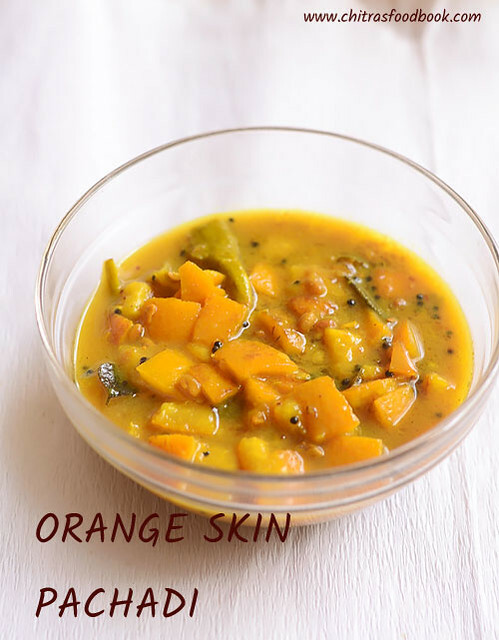 Though we don’t celebrate this festival at home , i love ugadi pachadi and poli with coconut stuffing.. We tamilians celebrate Tamil new year which falls on 14th of this month.We prepare Mango pachadi and rice payasam along with other lunch recipes. My friends here and in Andhra celebrate this festival in a grand manner. I asked them about their lunch menu for ugadi and they gave me a big list. But i thought of trying this famous ugadi pachadi and obbatu recipe among them. I got these recipes from my friend Megha.She said obattu and ugadi pachadi will be in their menu for sure..Other than this they prepare Mango rice / puliohara , Vada, sambar , Sundal ,chitranna ( Variety rice) and it goes on. 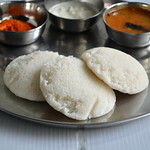 I’ll start with ugadi pachadi. Its the easiest pachadi i’ve ever made. We too make mango pachadi on Tamil new year day but its a bit time consuming process. But this recipe needs no cooking. Its just a mixture of 6 tastes ie , sweet , salt , spice , sour, tangy and bitter.. I liked it very much. Adjust the quantity of ingredients based on ur liking. Wash and chop the raw mango pieces finely.Soak tamarind in water and take the extract .. 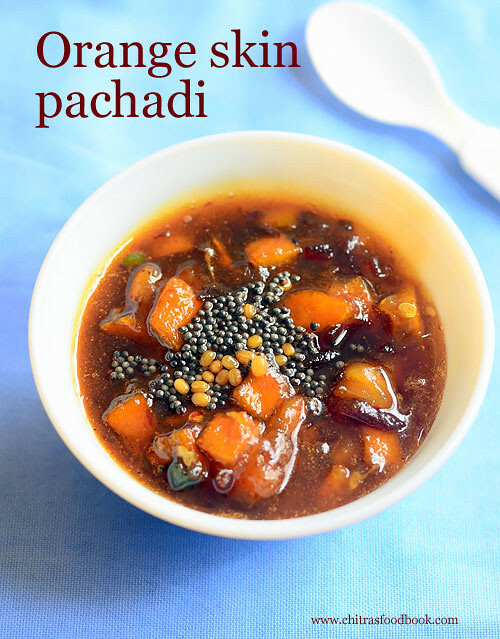 In a bowl , take the raw mango pieces , tamarind extract , red chilli powder , grated jaggery , salt and mix well. Add little water to adjust the consistency based on ur liking.. Some like it to have it thick and some likes to be thin. Please add water accordingly. Usually i make poli using the left over channa dal puran. Yesterday when I went for shopping I saw a newly opened stall for selling obbattu and other snacks for ugadi especially..I bought some to taste. It was very nice. The thing is they make obbattu in front of us and they serve it really hot. So i was able to see how they rolled , the consistency of dough , puran etc.With that help, i tried it. It was very tasty ..We loved it a lot.It came out soft and thin.Oil is the most important ingredient here. The more oil u add , the more tasty poli.. Use sesame oil / Gingely oil to get a nice taste.So no need to worry about adding more oil as it is is very good for health.Also the consistency of dough should be loose.. It should not be sticky, adding more oil make it non sticky. I have tried to give the quantity of water and oil what i used. Try and adjust if more quantity is needed.Keep the dough covered for 1 hour minimum which also helps to get soft poli. I used obbattu sheet to roll them. In india, u can get in all stores. It costs just 2 rs.. If u don’t get it , u can use either banana leaf or good quality polythene sheet. Grease it with oil and make the shape. Start making puran now. Grate coconut and jaggery.Grind the coconut in Mixie to make it a fine powder.In a non-stick pan , melt the jaggery adding little water just to cover it..Strain the impurities using a metal strainer if necessary. Again boil the syrup till it becomes frothy and raw smell of jaggery leaves it. It will take 5-8 mins in low flame.. Then add the grated coconut and mix well till it becomes thick. Switch off the flame and add the cardamom powder. Mix well and allow it to cool..
Now take the dough , knead well for 10 minutes. The dough should be loose , elastic and pliable. 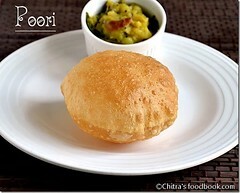 Add more oil if it sticks..
Take a small lemon sized ball of dough and equal sized ball of puran. Pat the dough to make a thick small circle and keep the puran in the middle. Bring all the corners to the middle and close the ball. Roll it well. 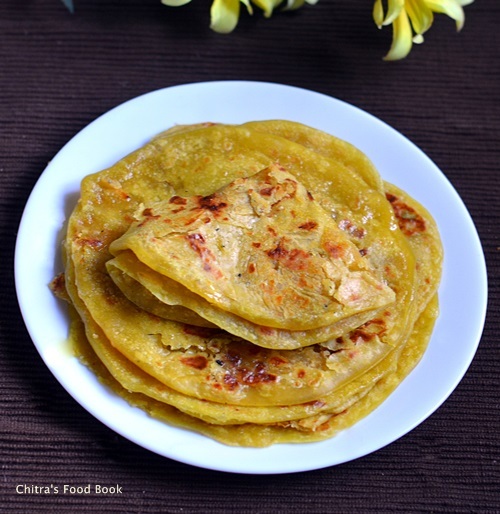 Cut the obbattu sheet into round shape and grease it with oil.Place the ball and press it with ur hands to make it very thin. Press it to make it round as per the size of the sheet. Heat dosa tawa , drizzle little oil and put the obbattu along with the sheet and remove the sheet alone in a second . Cook the poli for few seconds , flip it and again cook for another few seconds. Make sure u don’t over cook it. 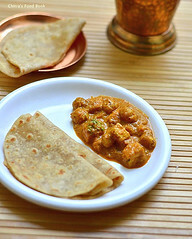 It will be roasted and becomes like an papad…Cooking has to be done very fastly..
After removing from the tawa , grease it with ghee for additional taste and flavour..Enjoy ! 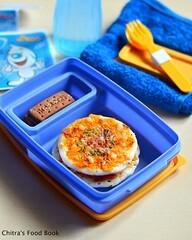 Note : After it cools down , u can store them in a box for 2-3 days.